With so many poker sites out there to choose from it’s a players market. One of the most important things every poker player should consider when choosing a site to play on is the bonus and loyalty program offered by each site. These programs essentially mean free money for you. Today I’m going to tell you about a site that should be top of your list - Titan Bet Poker. As the flagship room on the iPoker network you’re guaranteed a great experience from the moment you sign up. The main reason I recommend Titan Poker is that they offer an unbelievable 200% bonus up to £1,000. 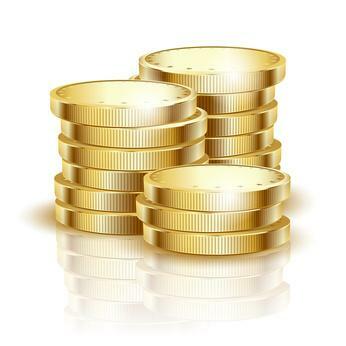 This means that if you deposit £500 Titan will instantly put £1,000 into your bonus account. Use Titan Bet Bonus Code PBCLUB when you register your account, to get $20 added directly to your balance within 48 hours of your first deposit (usually much sooner than this). You'll be free to play with this money right away - giving your poker bankroll an instant boost. So you’ve made the right choice and deposited using the code above but how do you get your hands on the cash in your bonus account? The simple answer is play poker, funny as that’s what you signed up to a poker site to do, but let’s look at it in more detail. The table below shows the different maximum bonuses available dependent on what currency you choose. You can deposit in Pounds, though most of the games are in Euros these days - as the tables are shared across the continent. What we are looking at is the column called Clearance Rate. This tells you how you release the money from your bonus account. So for example if you are using dollars you will release $5 for every 300 points you earn. You have sixty days to release as much of the bonus as possible so don’t wait around. Earn those points and turn that bonus money into real hard cash. If the 200% bonus and free $20 by using the code PBCLUB weren’t enough let me tell you a little about Titan Poker’s VIP program. Remember those points you earn while playing? Well they come in handy for reasons other than releasing your bonus. On signing up to Titan you immediately become a part of their VIP program. What this means is that for every Titan point you earn you are awarded Club Points. Club Points can be used to purchase bonuses and tournament tickets in the VIP Club Store. Essentially more free money. Initially you receive 1 Club point for every Titan point, but the more Titan points you earn the higher your VIP status gets. With a higher VIP status you receive a Club Point multiplier. The top levels of the VIP Club allow you to earn 1.5 Club Points for every Titan point. In addition to their VIP program there are lots of other promotions going on at Titan. For example as a new depositor you will be able to take part in the new player freerolls. There are also weekly and monthly VIP freerolls. Not enough? How about the multitude of points races on offer. All you have to do is play poker, earn points and you’re in with a shot winning some of the prize money offered. Still not enough? How about a Bad Beat Bonus. We’ve all had it happen, our quads are a lock to scoop a massive pot when the river completes our opponents straight flush. It’ll hurt yes but the $250 Bad Beat Bonus should help you feel a little better. Texas Hold’em is the most popular game played today and this is reflected on both the cash and tournament tables at Titan. In the cash game section games run consistently from 1c/2c up to $1/$2 while at peaks times you’ll even see games as high as $5/$10. Pot Limit Omaha is also growing in popularity and you will see these games run pretty regularly too, particularly at the lower stakes. For tournament play Texas Hold’em is still king and Titan offers many different options and buyin levels. Whether you like 6 max SnG’s or large multi table tournaments you’re sure to find them running. There are also Jackpot Sit N Go tournaments, where you can scoop a high 5-figures for winning 6 in a row. You can enjoy the soft games, generous loyalty system and big welcome bonus - and take $20 extra for free on top by registering with Titan Bet bonus code PBCLUB. The extra will be in your player account within 48 hours (usually much sooner) - and you'l be ready to hit the tables.